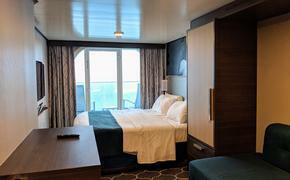 Crystal Cruises is offering savings on its penthouse accommodations on Mediterranean sailings this fall. Couples can get fare reductions of up to $2,000 on select voyages, as well as business class air savings, if they reserve one of Crystal Serenity’s penthouses or penthouse suites by June 30. All Penthouse stateroom categories include a personal butler for packing and unpacking, pressing, and shoe shine service, daily hors d’oeuvres, fully stocked champagne, wine and spirits bar, personalized stationery, walk-in closet, larger verandah, and specialty restaurant room service from Chef Nobu Matsuhisa, among other free amenities. Each cruise offers 11- or 12-day sailings with “Book Now” fares starting at $6,135 per person double. Guests can add on U.S. round-trip business class air for $3,200 per person, a $1,000 average savings. Additional savings are available for groups of six or more, combining cruises, and sponsoring of new-to-Crystal guests by a past Crystal cruiser.